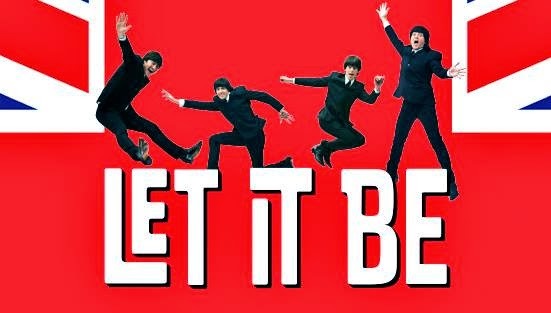 Let it be returns to the West End, playing at the Garrick Theatre. The show made its debut at the Prince of Wales Theatre back in 2012 and has since played at the Savoy Theatre, on broadway and has toured the UK. This is not a musical, its a ‘concert’ of songs. It does have some sort of narrative however, the show features some of the appearances they made through out the bands career; for example their performance at the Royal Variety and the Shea Stadium. Now, I am not particularly a huge Beatles fan. In fact, theres quite a few of their songs I can’t stand! So I wasn’t sure how I was going to react to this show. But it wasn’t that bad, I can honestly say I sat through the whole thing and wasn’t completely bored. The first act moved quite fast, the different sections that the songs were broken up into were the perfect length and the changes of set and costume spiced things up a little and added some variety which kept me interested. I must admit, when the interval came around I felt like the show could have ended there. Put it into one act and it would have been fine. Talking to a few people at the interval we weren’t actually sure there was enough Beatle songs for them to do another act! But there was, and this time it went quite slow. A large portion of the second act was done with them sitting in chairs, no exciting costume or set changes. Just the performers in chairs. Not exactly very thrilling and I got a little bored towards the end, things started to really dip in the second act. And then at the end when they tried to pick it back up and get everyone on their feet, I wasn’t exactly in the mood after having to sit through 30 minutes of lacklustre performances. One thing that I really liked about this show was the design, the set was fairly minimal and the changes made to it to change the locations or time periods were really nice. It broke it up and changed the mood of the performance each time it changed. Tim McQuillen Wright, the set designer on the show, has done quite an impressive job on this. Although its not a big scale thing he was mainly responsible for the variety in the production. Another thing that I loved about Let it Be was the lighting design, because everything is quite minimal and theres not a whole lot you can do with this kinda show, Humphrey McDermott’s design really transforms the theatre. One thing that I felt the show didn’t have was a clear vision of what it wanted to be. The performers, however good they were, were a tribute band with a big budget production around them. To me, it felt like they had studied the performances of the Beatles and then put a carbon copy of that on stage. There wasn’t much involvement with the audience. And even when there was (in the second act) it felt very stale and rehearsed. As an audience member I felt very left out of the performance. The performers kept up the act in the first act but in the second we had stage hands coming on and off and the performers finally started to interact with the audience and I wasn’t sure if they were in character or being themselves. So I left a little confused as to what the idea behind the show was. This was not my kind of thing however it wasn’t bad. It was pretty entertaining and this is probably the closest thing we have to an actually Beatles concert. I’m not sure how an actual Beatles fan would react to this show but I think if you’re like me and are a regular theatre goer then this isn’t for you. Cast includes: Emanuele Angeletti, Michael Bramwell, John Brosnan, Paul Canning, Ben Cullingworth, Ryan Alex Farmery, James Fox, Michael Gagliano, Paul Mannion and Luke Roberts.